Help CAREB-ACCER bring superior quality conference content to our members! 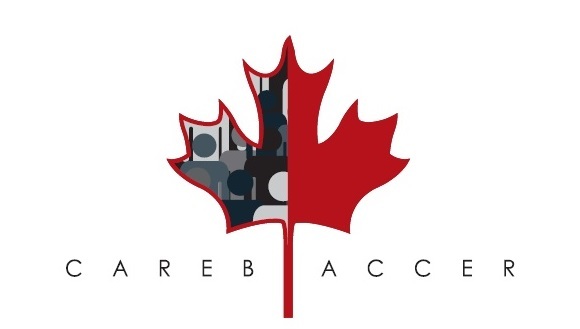 We invite you to submit a proposal to be a speaker at CAREB-ACCER’s 2019 National Conference in Winnipeg (April 10-12). We are seeking speakers to present plenary sessions, pre-conference workshops, main conference breakout sessions (workshop or didactic sessions), and posters. Topics should relate to research ethics, issues of broad and current interest, or common REB or REB administrator challenges. Plenary Sessions: Plenary sessions are more general, address all attendees, and can be in various formats (single speaker, panel, etc.). Duration: 45-60 minutes. Note that you may be asked to move from a breakout session to a plenary or move from a plenary to a breakout. Breakout Sessions: These sessions cover more specific topics and issues. Four breakout sessions on different topics run concurrently as a block during the main conference. The format can be didactic or workshop style. Duration: 60-75 minutes. Longer and shorter sessions will be considered. Pre-conference Workshop sessions: Pre-conference sessions tend to be more focused, and interactive (e.g., group activities, hands-on learning). Several topic-based REB Advanced full-day streams are offered. The Conference Planning Committee will finalize streams once a review of proposed sessions is completed. Poster Sessions: Provide an abstract to present during a 60-minute poster session. Eligibility Criteria: At least one author must be a current CAREB-ACCER member. If accepted, at least one author or co-author must attend the conference and must be available during the 60-minute poster presentation. The link between Responsible Conduct of Research and the REB. Indigenous focused research ethics topics. Read, agree to, and submit a completed Speaker Agreement Form no later than January 31, 2019; Submit a final copy of handout materials no later than March 16, 2019; and Agree NOT to market products/services during sessions (unless a paid vendor session). All session titles and descriptions, along with presenter names, job titles and institutions are part of the official conference program. By submitting a proposal you grant us permission to publish and promote this information as a part of the conference. All descriptions will be edited for consistency and accuracy. Upon registration, presenters will be asked for consent to post presentations on the CAREB-ACCER website for attendees’ use. * 3. Abstract Please upload your abstract (maximum of 300 words). * 4. Authors/Presenters Please provide a list of all authors or proposed presenters. * 5. Preferred Presentation Format Rank your preference for your presentation proposal. PowerPoint presentation facilities will be provided. Equipment available may vary slightly from room-to-room. Typically this includes all of the following equipment: Laptop, projector(s), screen(s), podium and microphone(s). Rooms will typically be arranged in classroom style seating or in half-rounds. The Conference Planning committee will contact you regarding the results of your submission. Given time and space constraints, as well as our need to develop a balanced program, we may not be able to accept all exceptional proposals. If your proposal is not accepted for this year’s conference, we encourage you to consider submitting a proposal for future CAREB-ACCER conferences.